Mark McGwire was the king of baseball in the late 1990’s. His powerful swing and legendary home run race against Sammy Sosa almost single-handedly saved baseball after the events of the 1994 player strike-ending season. 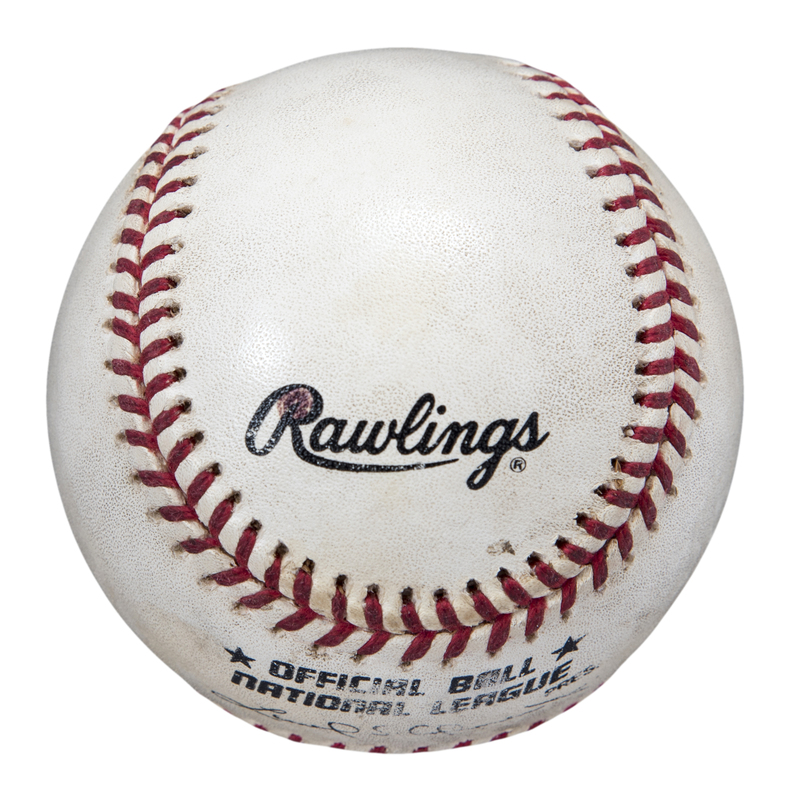 The first man to hit 70 home runs in a single season, McGwire’s race to the 500 home run mark was one of the most anticipated moments of the 1999 MLB season. 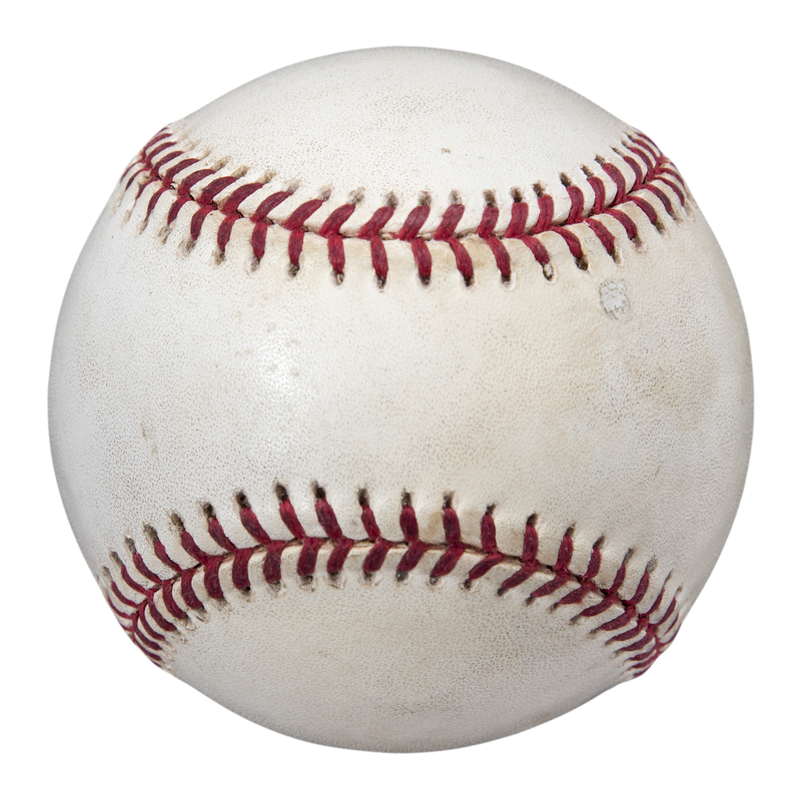 McGwire started the season with 457 home runs, and the former Olympian reached number 499 by the first week of August. 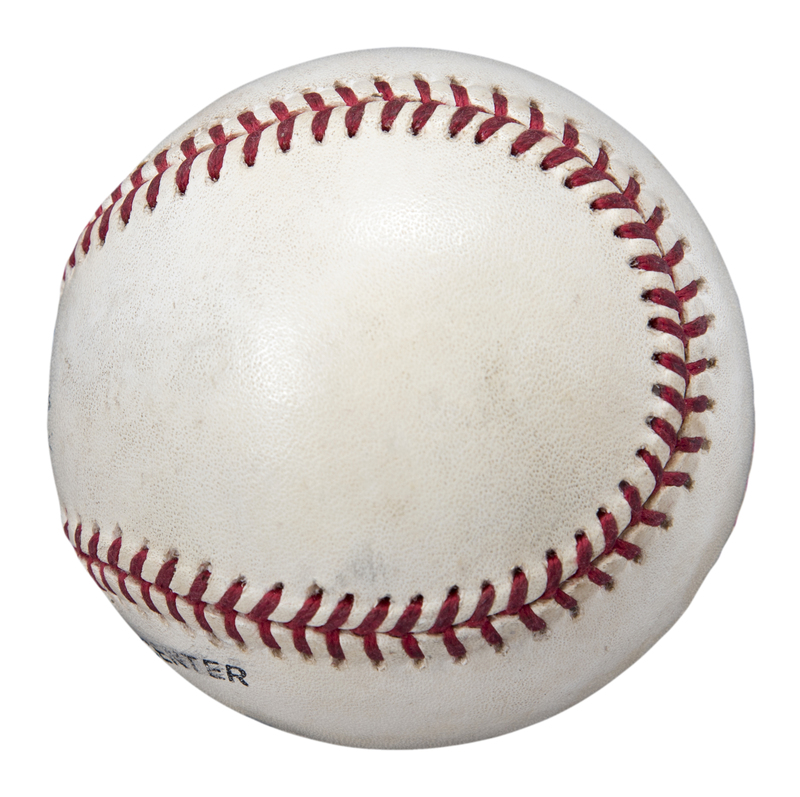 On August 5th, 1999, McGwire came to the plate against Andy Ashby of the San Diego Padres at Busch Stadium in the bottom of the third inning with the Cardinals trailing 2-1. McGwire watched the first pitch sail by for a ball and took a mighty cut at the second pitch, leaving the count at 1-1 and Ashby in a tight spot. Ashby left the next pitch up and in for McGwire to pounce on, and “Big Mac” did not disappoint. 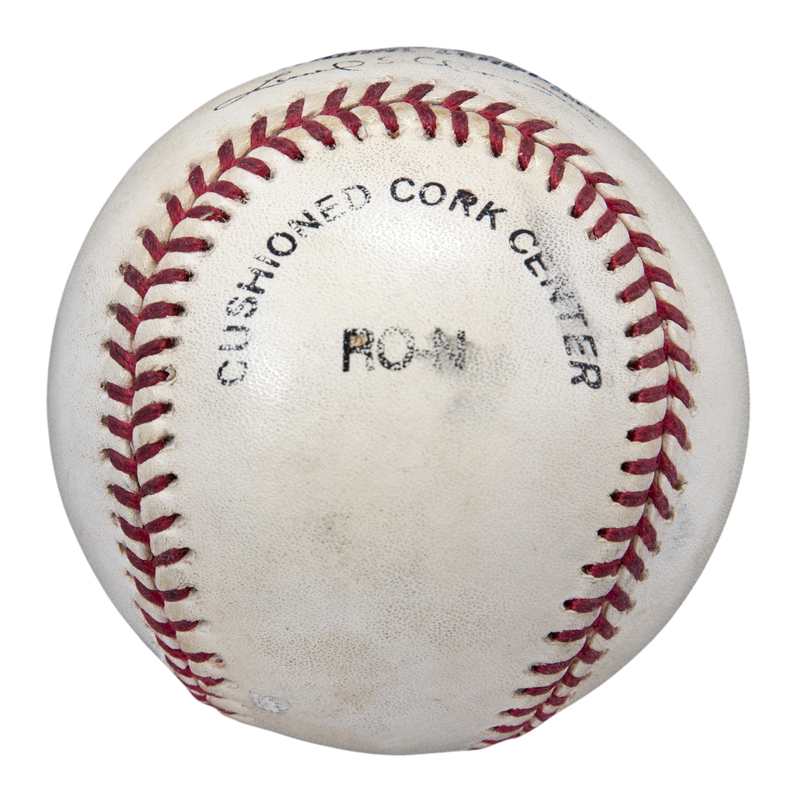 The ball connected with McGwire’s bat and came to rest over 450 away from home plate in the unincorporated area past the center field fence, a plethora of Cardinal faithful creating a mad scramble for this instant piece of baseball history. 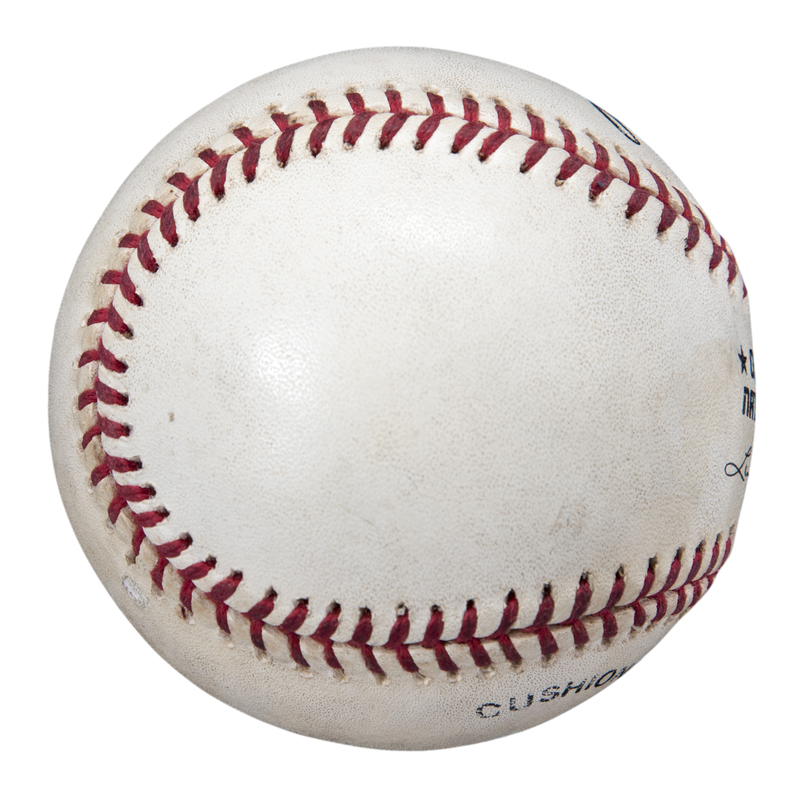 With one swing, McGwire rewrote the baseball record books. 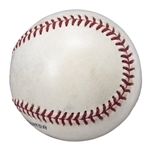 McGwire finished the 1999 season with a whopping 65 home runs, leading baseball for the fourth straight season. 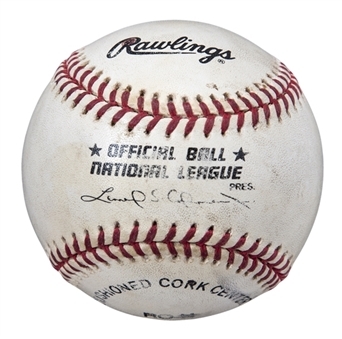 This offered home run ball is an Official National League Leonard S. Coleman sphere that shows good signed of game use. 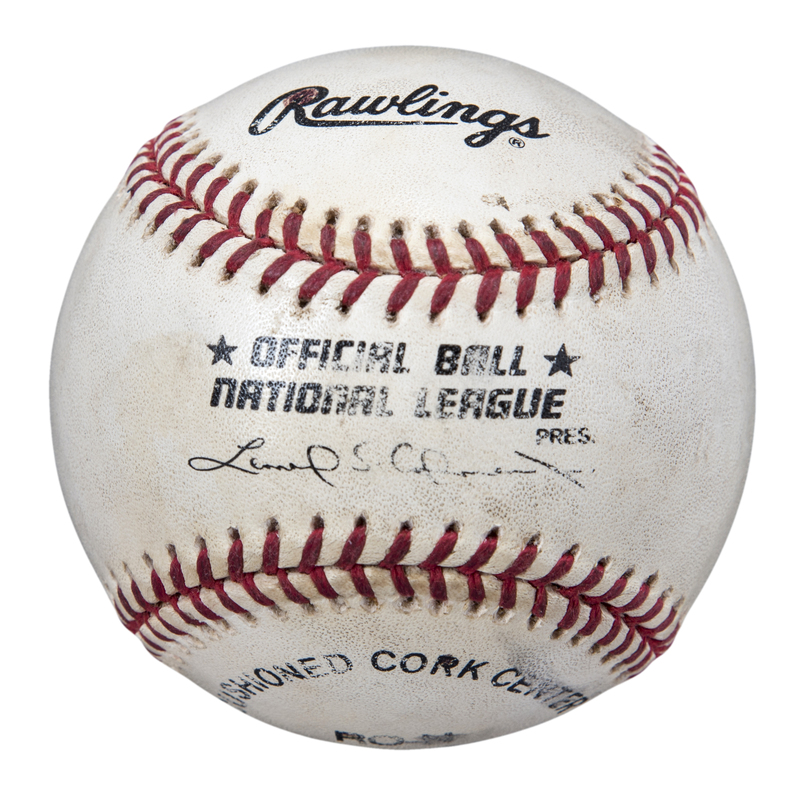 The ball is marked with black marker inside the “R” of the “Rawlings” stamp on the panel north of Coleman’s stamped signature. 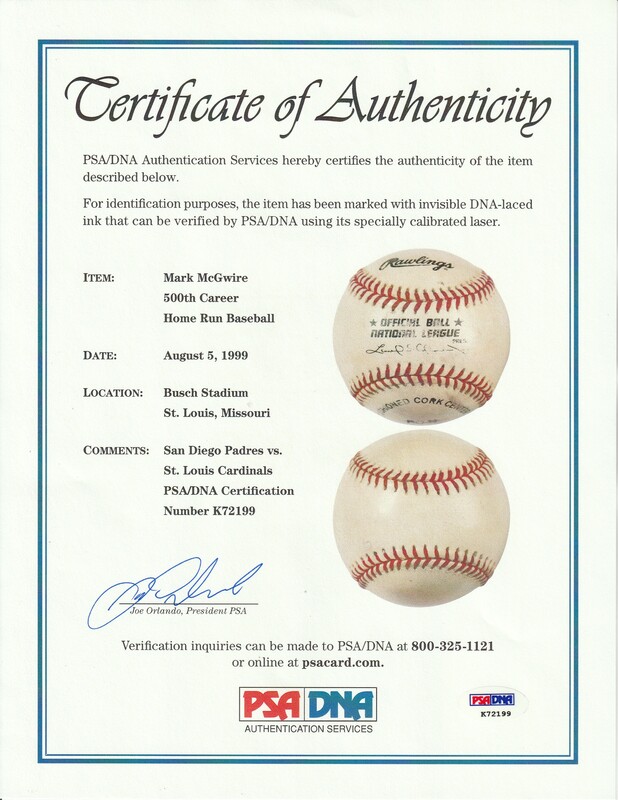 This significant milestone baseball comes with a LOA from PSA/DNA (K72199) authenticating it as McGwire’s 500th home run baseball.